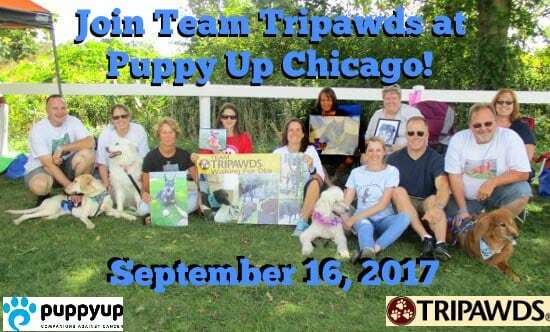 Have you joined Team Tripawds for the Puppy Up Chicago 2017 walk yet? The fine folks at Puppy Up will be sharing 20% of all donations raised for Team Tripawds from September 1st-30th with the Tripawds Foundation! 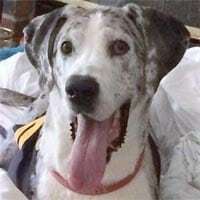 Now you can support Tripawds and contribute to the cause to end cancer in pets and people. And you do not have to be anywhere near Chicago to do it! Join Team Tripawds and Puppy Up! Help promote awareness of canine cancer and raise funds for cancer research to benefit both pets and people. A portion of all proceeds raised for Team Tripawds during the entire month of September will be donated to the Tripawds Foundation to help amputee pets and their people everywhere! Last time we checked, only two individuals had joined Team Tripawds, with no funds raised during September. Can you help? If you have already given, please help spread the word by using the buttons below to share this post.